Access to land for trail riding, boarding, performance and more is essential to equine enthusiasts everywhere. Agreements with private landowners and public land managers require different approaches. The segment and the following segment of Save The Trails will provide information to help you develop, maintain – and sometimes repair – these critical relationships. In this segment of Save The Trails we will focus on how to build and maintain relationships with private landowners in order to gain access to tails. In the next segment we will focus on working with public land managers to develop and maintain access to trails on public land. Private property makes up an important segment of our equine activity spaces. Many trails connect nonadjacent public land trails and destinations. Private lands host facilities such as boarding and show stables, as well as open land, for a variety of equine activities. Private equine accessible lands located near denser population zones are especially vulnerable as land is converted to development. Aside from increasing land values, the potential issues that go along with allowing riders on their property can make even long-time horse friendly landowners skittish. And property that has changed hands can quickly become inaccessible through lack of communication and understanding. Riding a favorite trail can become trespassing overnight. What contributes to a landowner’s reluctance to allow access to horseback riding activities? The most obvious factor is liability. 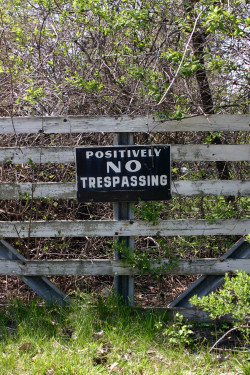 Add damage to land and facilities, loss of privacy, poor communication and lack of appreciation and the result could be a disgruntled landowner with a gate, a lock and a “No Trespassing” sign. Does the landowner have an unvoiced or unresolved issue? 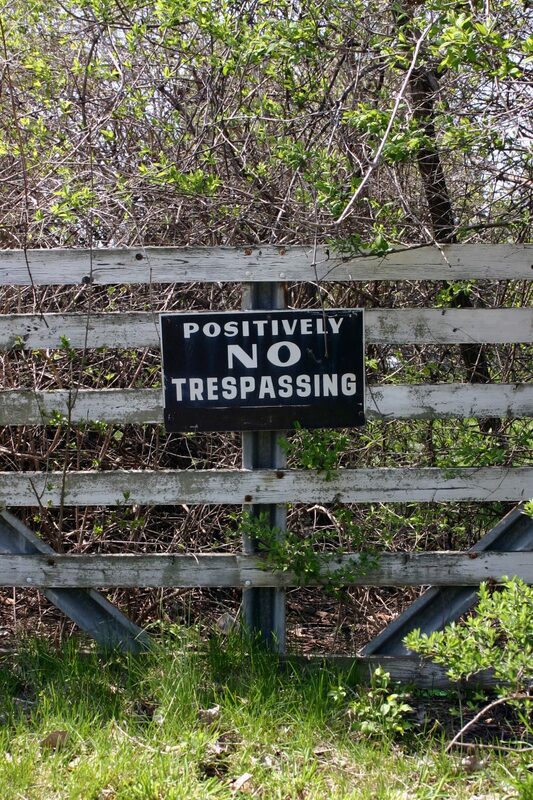 Is this a new owner that is leery of the possible consequences of equine access? A little homework can help you gauge the situation and mood of the landowner. A past or ongoing horseback-related injury lawsuit, for example, bodes poorly for a friendly chat. If the owner is willing, approach him/her in a friendly manner and ask about their concerns. Don’t be defensive or overly assertive. Initially, listen without offering instant solutions unless the landowner requests your input. Establish a relationship with the landowner in which the club is responsible for setting user behavior rules and the owner is responsible for providing safe conditions. Use the club’s website or social media as a communication hub. Post information, conditions, etc. Purchase club liability coverage or offer inexpensive policies for individual members through an insurance broker. Help the landowner to locate and understand state “laws that limit equestrian-related liabilities, such as the…Equine Activity Liability Act or the Recreational Land Use Act”. 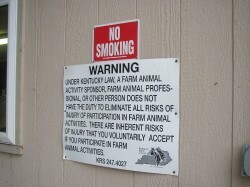 Purchase your own liability insurance, such as a “Personal Horse Owner’s Liability” policy and show the landowner proof. “You and the landowner can establish a mutual agreement, confirmed in writing, regarding your use of the land that covers several matters” including rules and restrictions. Landowners have the work and expense of monitoring and repairing their land and facilities. You can help. Co-opt riding club members and other user groups to participate in monitoring and work days. Contact your local chapter of Back Country Horsemen of America for help getting started. Showing your appreciation to the landowner will help establish, long-term, the privilege of riding on their land. Invite him/her to events, send a gift, have a landowner appreciation day. Communicate well. And help the landowner to monitor and care for their land. Of course there is no guarantee that the landowner will be comfortable with the assurances you offer, and sometimes nothing you do will make him or her willing to let you use the land. If that is the case, accept the refusal graciously and proceed elsewhere.